The OBA committee and roundtable experience is designed to benefit the individual participants, the institutions they ﻿represent, and the industry as a whole. Participation gives bankers a chance to discuss current issues within the financial services industry, learn from guest presenters, and share and request information through surveys and listservs. Committee terms of service are two years. Any employee of an OBA member bank is eligible to participate as an OBA committee member with their bank's approval. For more information, contact OBA's Manager of Member Engagement Jennifer Schubert at (503) 576-4126 or jschubert@oregonbankers.com . Tip: Hover over the committee name to view its description. In addition to OBA committees, OBA also has standing roundtable groups. 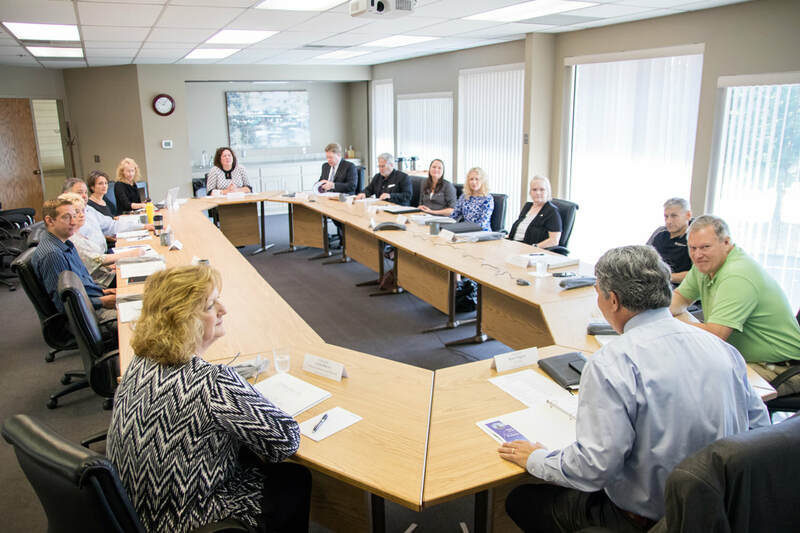 Similar to OBA committee meetings, roundtable events provide valuable forums for peer networking and education but without the more formal bank-approved membership structure. Roundtable events are open to all OBA member bankers. ​Tip: Hover over the roundtable name to view its description. OBA member bankers can sign up for a roundtable by logging into their Members Only Portal. From the Quicklinks menu select Update Your Contact Information. In the pop up screen, select Directory and then Add. From the Category drop down menu select Committees, and in the Sub Category drop down menu select the peer group you wish to join. Repeat these steps to join additional peer groups.